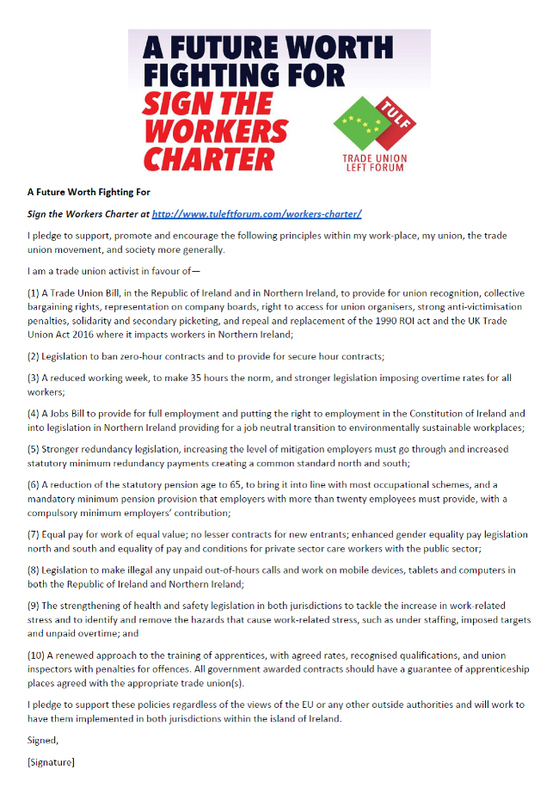 I pledge to support, promote and encourage the following principles within my work-place, my union, the trade union movement, and society more generally. (10) A renewed approach to the training of apprentices, with agreed rates, recognised qualifications, and union inspectors with penalties for offences. All government awarded contracts should have a guarantee of apprenticeship places agreed with the appropriate trade union(s). I pledge to support these policies regardless of the views of the EU or any other outside authorities and will work to have them implemented in both jurisdictions within the island of Ireland. 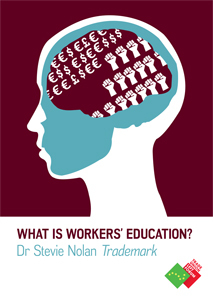 The struggle of childcare workers for recognition and decent pay will one of the key battle grounds in the fight for trade union rights in Ireland in the 21st century. We want to show there is widespread member support across unions for a radical programme of workers rights in Ireland. We want to put pressure on unions and political parties to adopt this programme. While each demand itself is inherently winnable with popular support, achieved together, it would result in a significant shift in the balance of power in Ireland away from big business and toward working people.